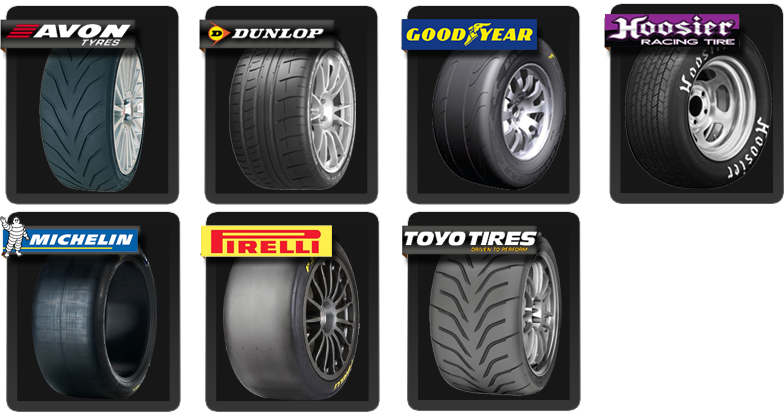 SascoSports is a dealer for Avon, Dunlop, Goodyear, Hoosier, Michelin, Pirelli and Toyo racing tires. We provide and can offer expert advice to make sure you are running on the tires best suited for you and which fit within the rules of the club you are racing with. We attend all the major east coast vintage and historic events and support SCCA regionals with Goodyear tires at VIR. We provide knowledgeable and friendly trackside tire service and can either ship to you or deliver your tires to an event. Our tire experts can provide custom tread pattern cutting to produce intermediate or rain tires. To browse the tires we sell - please click on a tire manufacturer.